Ethan Thompson scored 23 points while dishing out six assists and Oregon State overwhelmed Washington State 92-67. “I didn’t think we did anything right,” WSU coach Ernie Kent said. 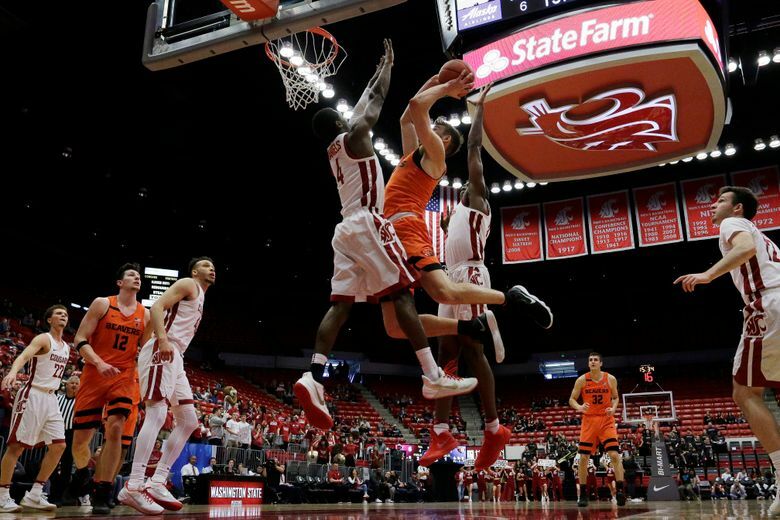 PULLMAN – Ethan Thompson scored 23 points while dishing out six assists and Oregon State embarrassed Washington State 92-67 on Saturday, the last day of the Pac-12 men’s basketball regular season. Oregon State (15-15 overall, 7-11 Pac-12) blew things open from the start, going on a 20-2 run over the course of 5:17. The Beavers shot 61 percent from the field in the first half. Steven Shpreyregin was the leading scorer for WSU (12-18, 4-14) on Senior Night, with a career-high 10 points. Tres Tinkle contributed 18 points with 12 rebounds and five assists for the Beavers.